i am a girl obsessed. these obsessions can bring a lot of joy to my life. they can also take up a lot of space in my brain when i should be thinking about going through the pile of papers on my roomchair and eating more antioxidants. whatever. bows are more fun than papers. i am obsessed with these paintings. i'm obsessed with wood floors. chips. i luh you. tortilla, pita, chocolate, and now these. my newest chip obsession. they are popcorn in chip form. i am obsessed with the rain when i'm indoors. the splotches on my weird doodle journal. and grilled cheese. and fondue. and anything with melted cheese. peach and gray and white together! color friends. i am in complete, heartbroken love with this short film. i have watched it over and over. is that an obsession? oh while we're talking about movies, i can't stop thinking about this one. personal fave of the year! and right now, it's become quite obvious. citrus, i. am. obsessed. 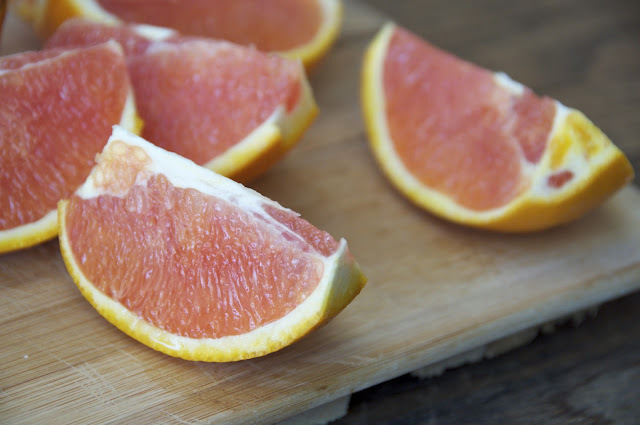 cara cara oranges are light pink, sweet, and beautiful. and what do we do to things that are sweet and beautiful? we pulverize them. and make cake disguised as bread. the whole orange, pith, skin and all is blended up to a thick citrus pulp and folded into the batter. the flavor is in your face citrus in a YEEEESSSSS way. 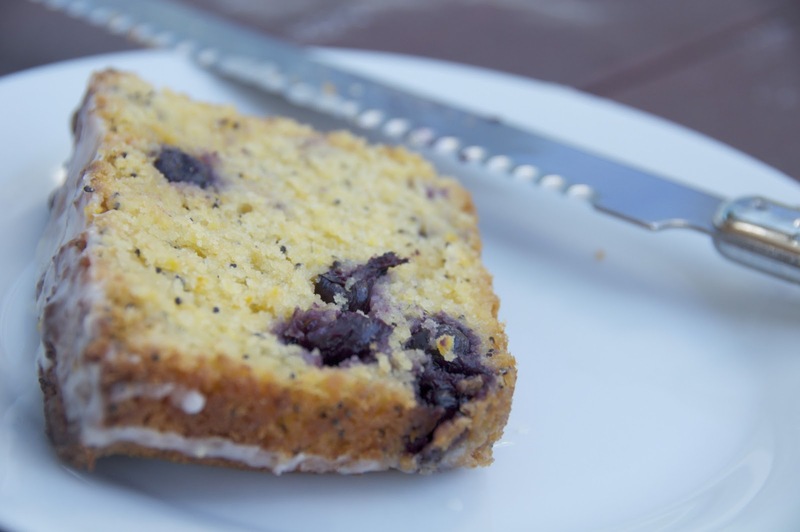 and poppyseeds and blueberries are the supporting actors. the show just wouldn't be the same without them. do you have a citrus stash building up? might you consider some pulverization and make this loaf? or what about some orange cinnamon donut muffins? 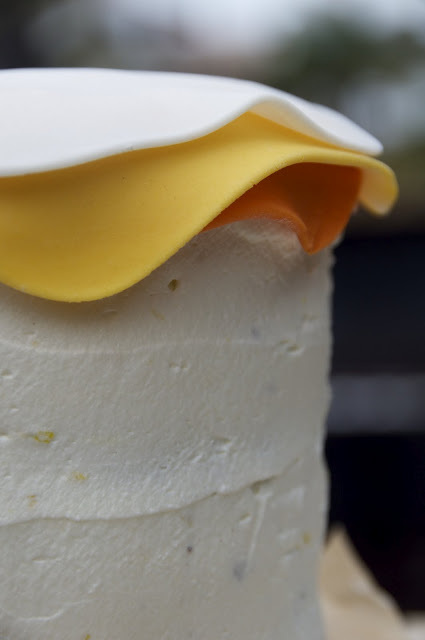 perhaps you fancy a layer cake? chocolate cake with chai cream cheese filling and orange whipped cream. awesome cake. annoyingly long name. zest your oranges and make white chocolate chunk cookies with orange zest and nutella! lemon poppyseed focaccia with goat cheese. bread obsession. OR just skip all this nonsense and make a big gorgeous cake of cheese. 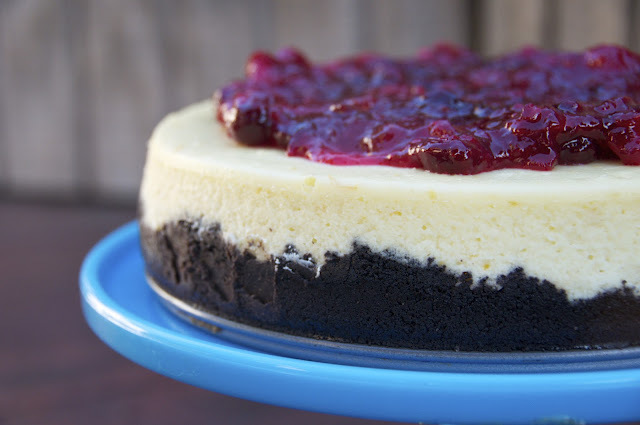 black bottomed orange cranberry cheesecake. just...get into this citrus ok.
position rack in center of your oven and preheat to 350 degrees. lightly butter and flour a 1 1/2 at loaf pan. 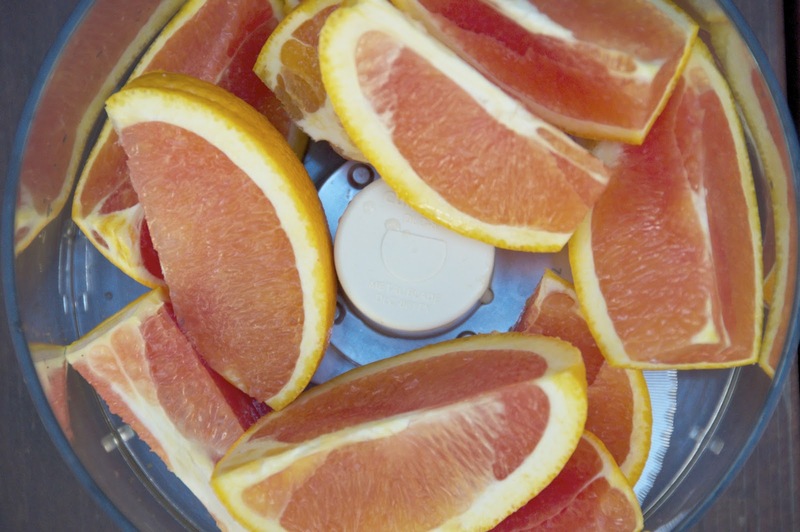 using a sharp knife, remove the little green stem from the orange, and cut into 8 pieces. in the bowl of a food processor fitted with the metal blade, pulse the orange pieces (skin and all!) and 1/2 cup of the sugar until pureed, scraping down the sides of the bowl. in a large mixing bowl, whisk together eggs and the remaining 1/2 cup sugar until smooth. stir in the orange pulp. whisk in the melted butter to combine. 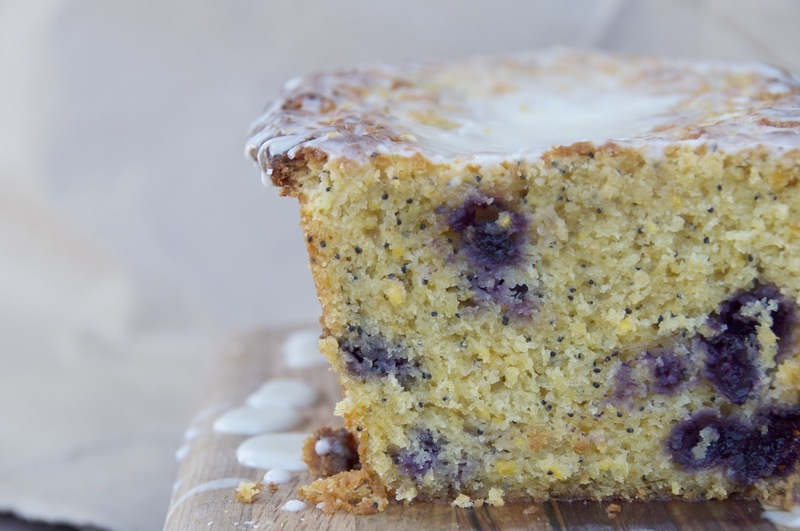 in a separate bowl, whisk together the flour, baking powder, salt, and poppy seeds to combine. 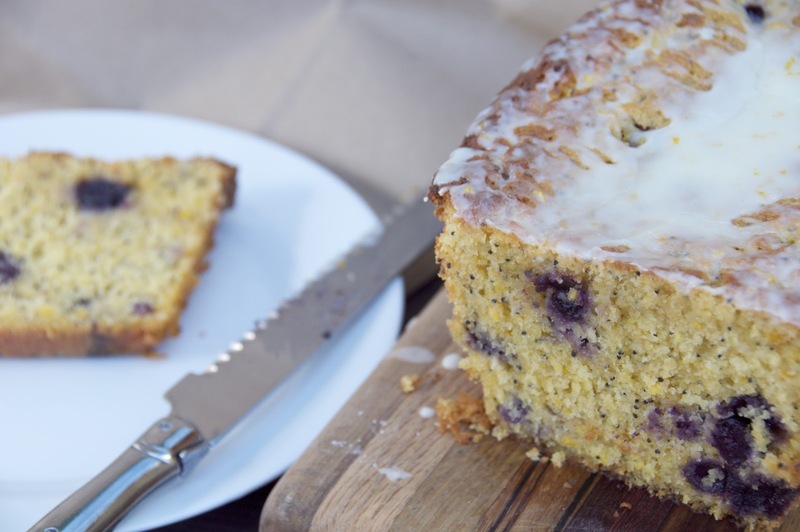 sprinkle the dry ingredients over the orange mixture, and using a rubber spatula, gently fold until just combined. pour the batter into the prepared loaf pan. bake for 50-60 minutes, rotating the pan halfway through baking. 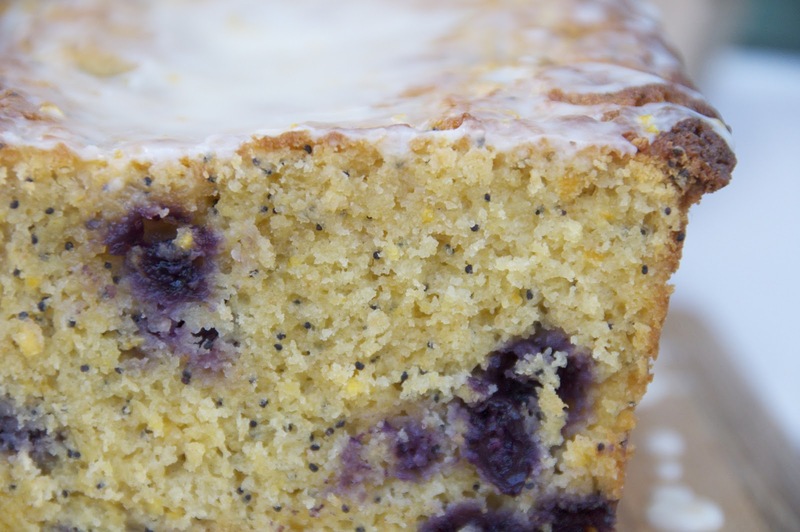 the cake is done when a toothpick inserted into the center comes out clean. remove to a wire rack and cool for at least 20 minutes before unmolding and glazing. 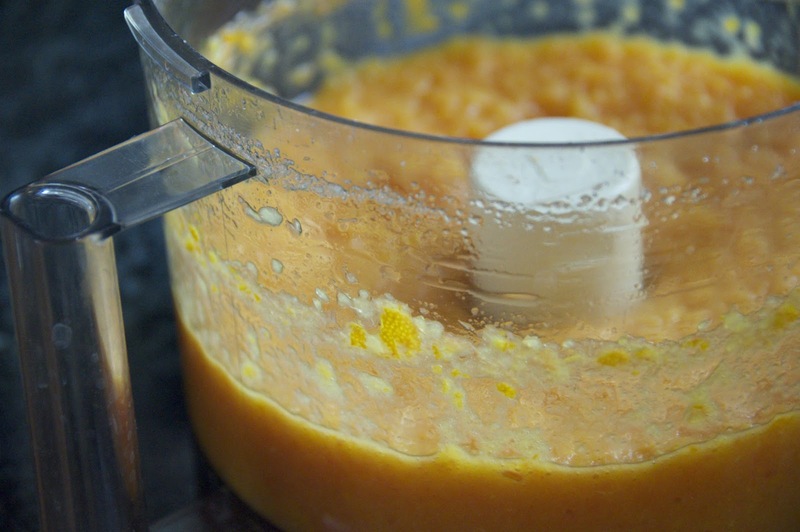 for the glaze: in a small saucepan, combine juices and sugar and simmer until sugar is dissolved and it reduces down a bit, about 2-3 minutes. 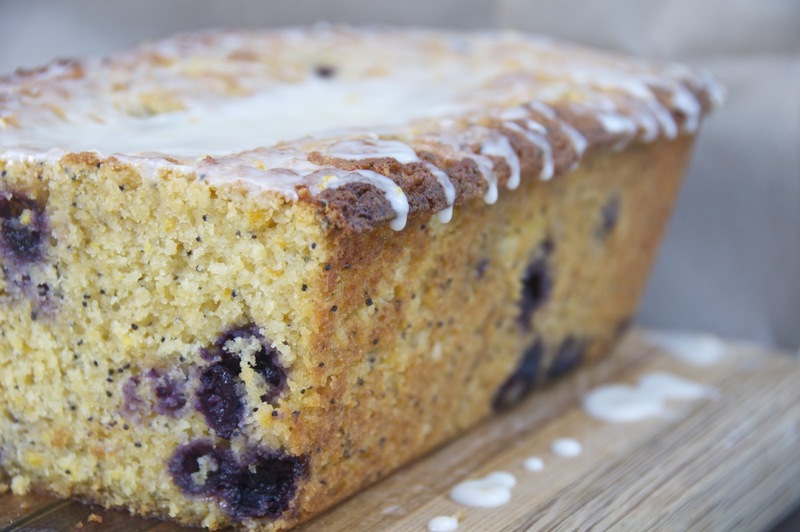 using a pastry brush, brush the hot glaze all over the cake while it is still warm. once it completely cooled, i finished it by drizzling a simple glaze of lemon juice and confectioners sugar over the top. Julia - doesn't the skin give a bitter taste to this cake? You are absolutely amazing. I am speechless. Tell me you work in the industry. This can't be just for fun.